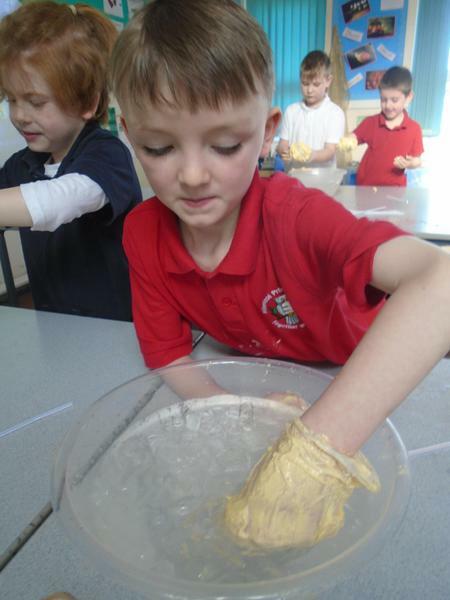 This half term our topic is called Frozen Planet. 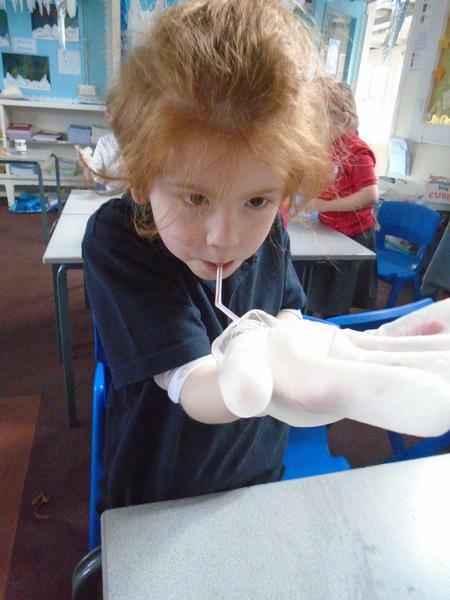 We will be investigating how animals survive and thrive in sub zero temperatures. 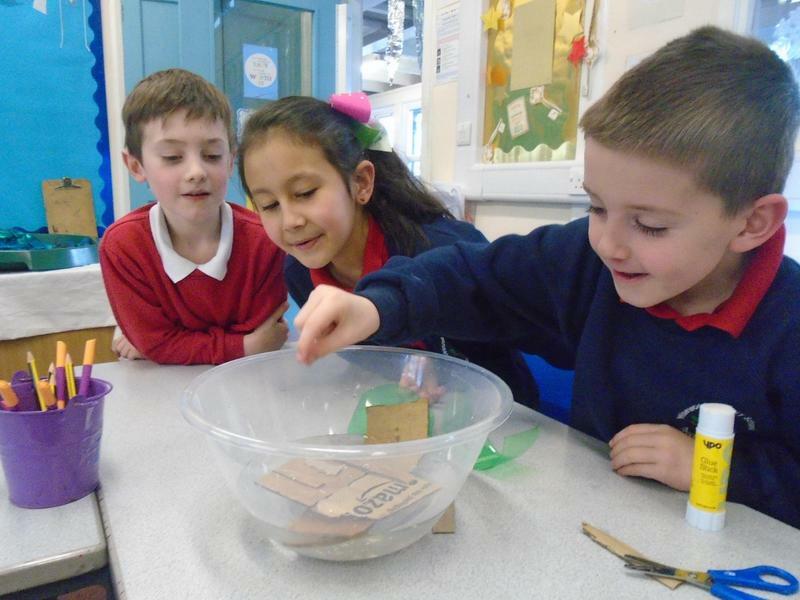 Could you survive in the cold? 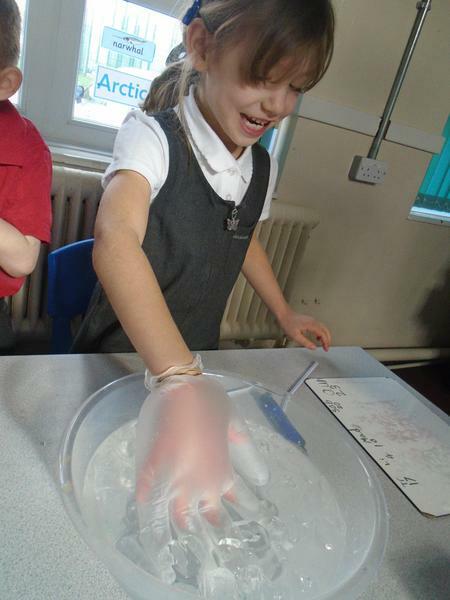 Geography- locating the Arctic and Antarctic on maps and the globe. 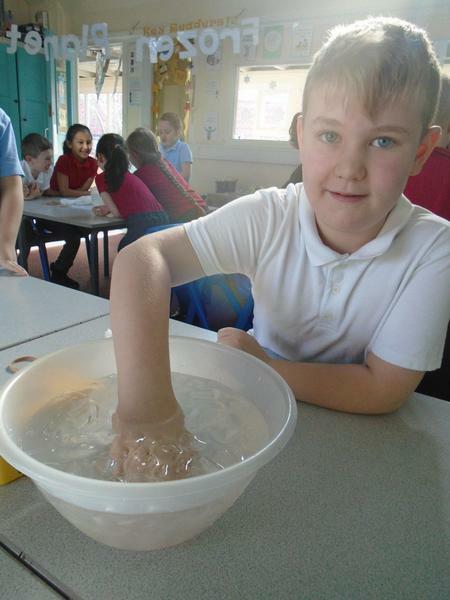 Comparing these two areas and contrasting to warmer climates. 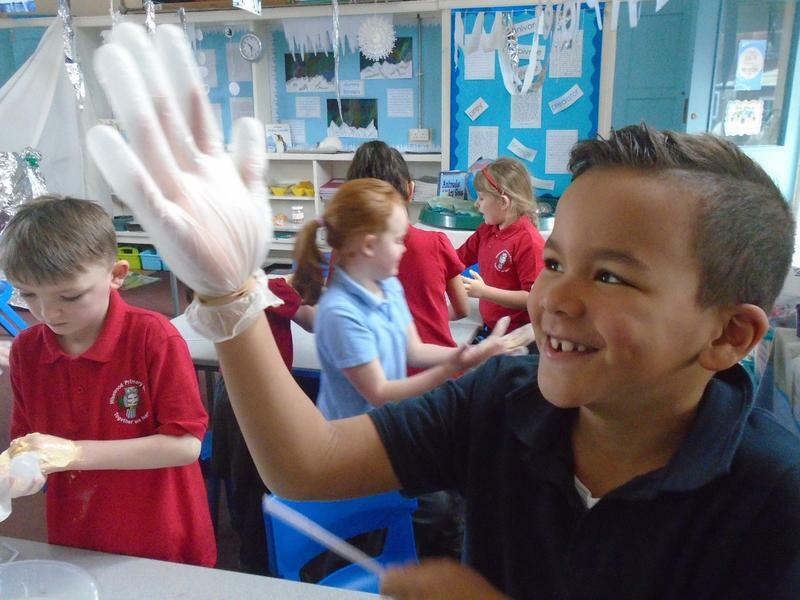 This topic is an excellent immersion into life in other parts of the world. 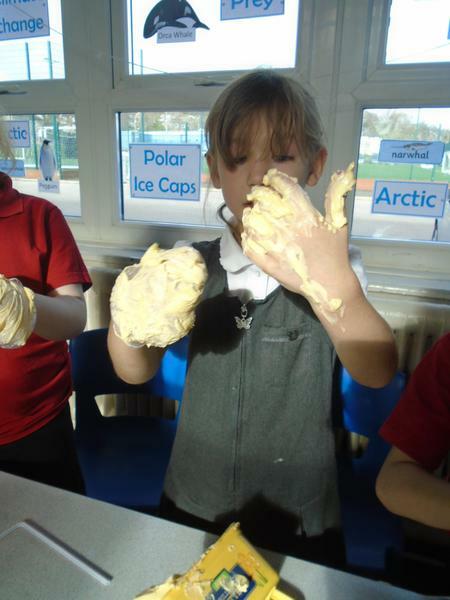 If you have the chance you can watch the BBC documentary Frozen Planet, it is an awesome jumping off point! 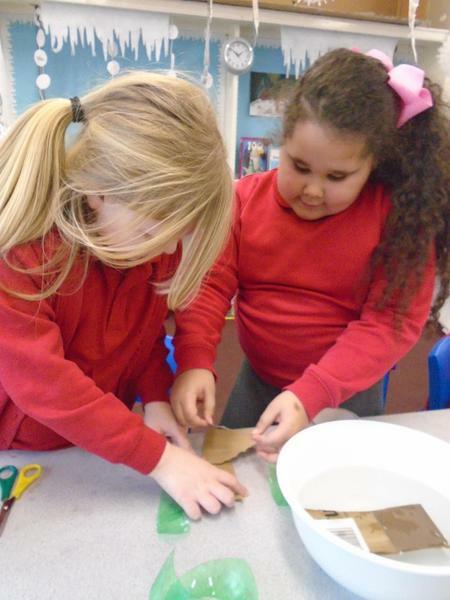 Here we are writing our extracts from Robert Scott's diary. 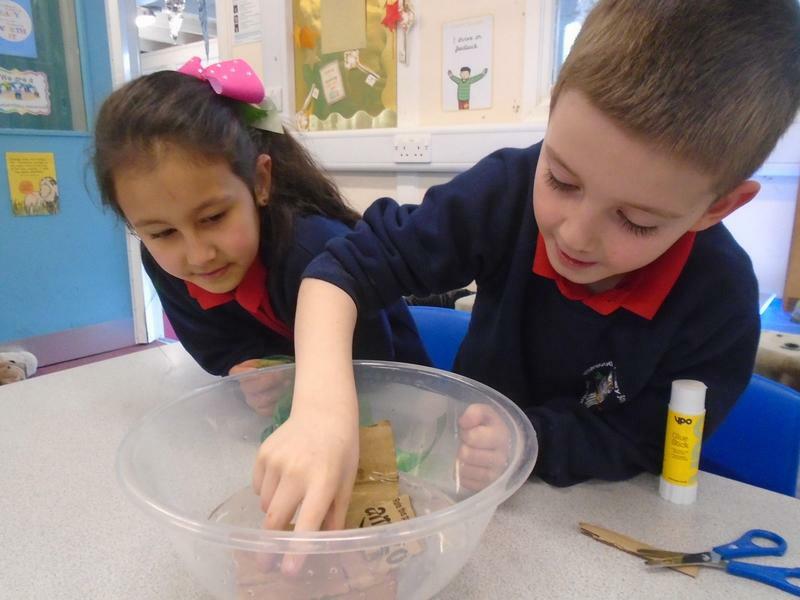 We wrote in the style of this famous explorer and kept our style in the present tense. 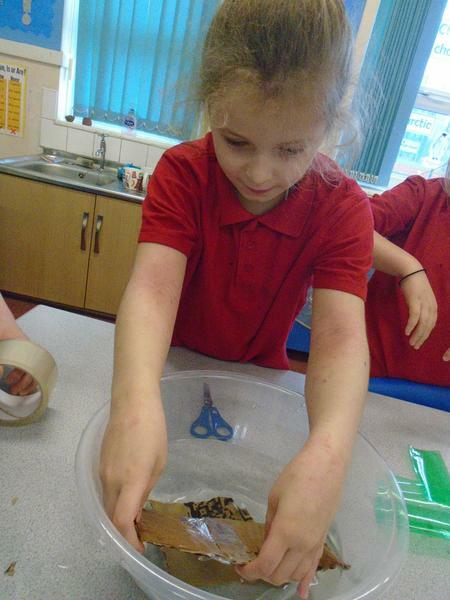 We made our paper look old by first painting it with coffee, some of us liked the smell and some of us really didn't! 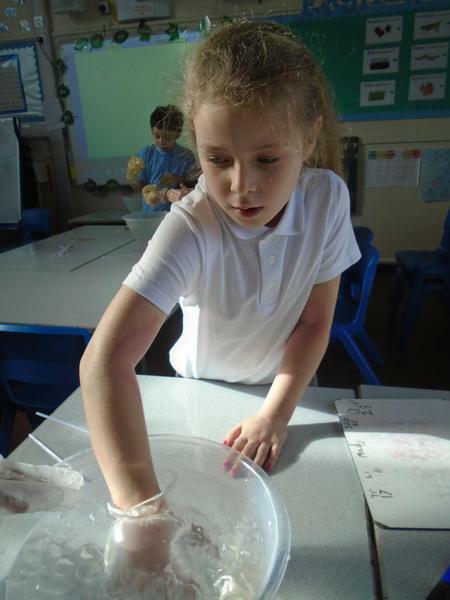 These entries really are incredible and the handwriting is off the chart amazing. 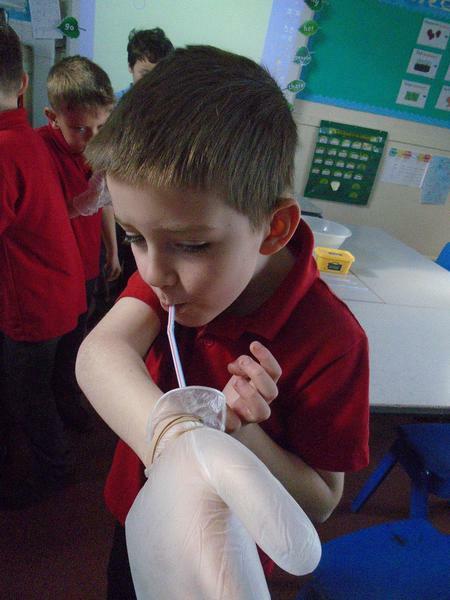 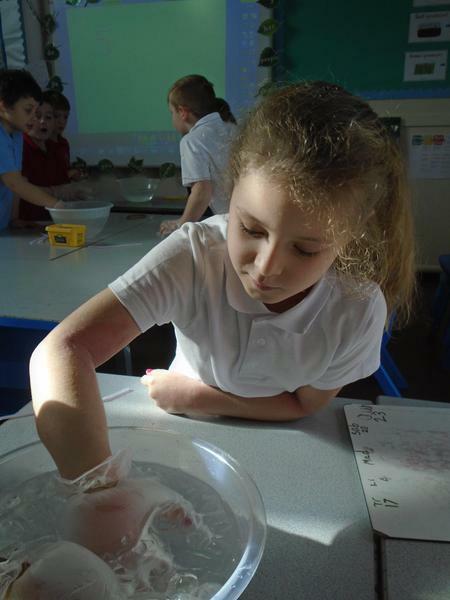 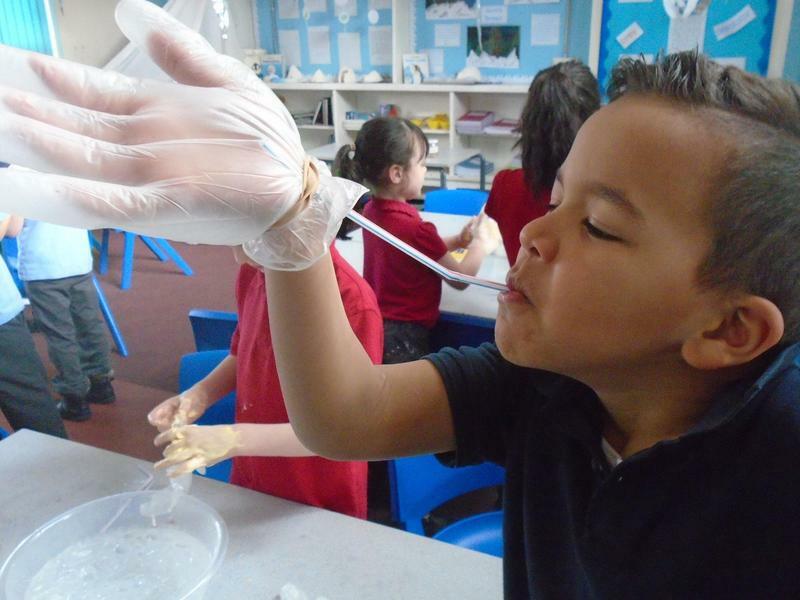 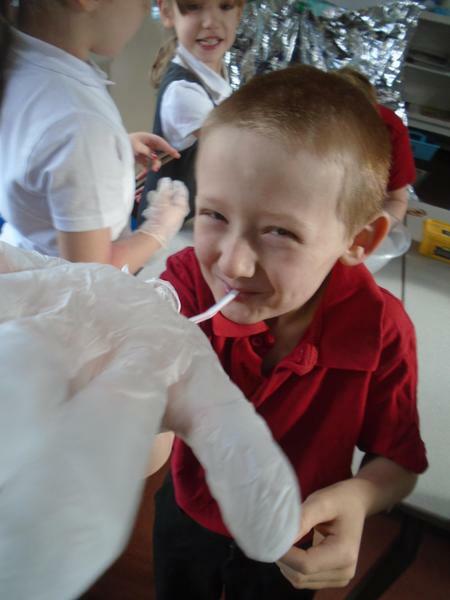 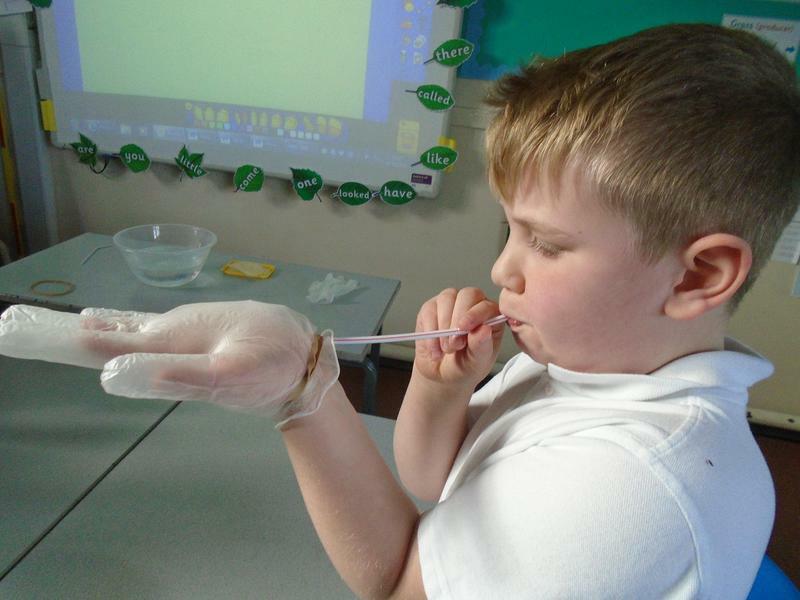 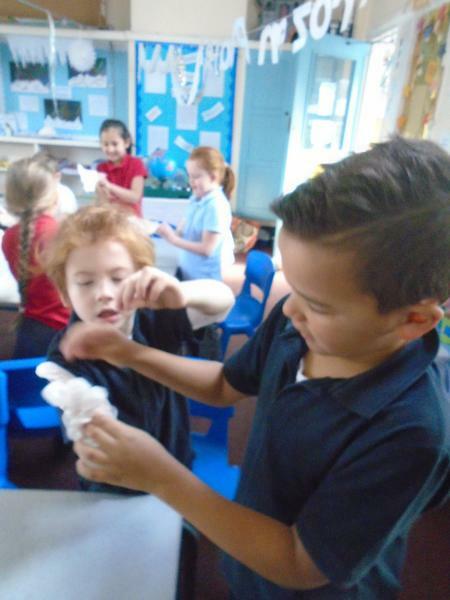 Today in year 2 we have done an exciting science investigation to discover how animals survive the polar waters. 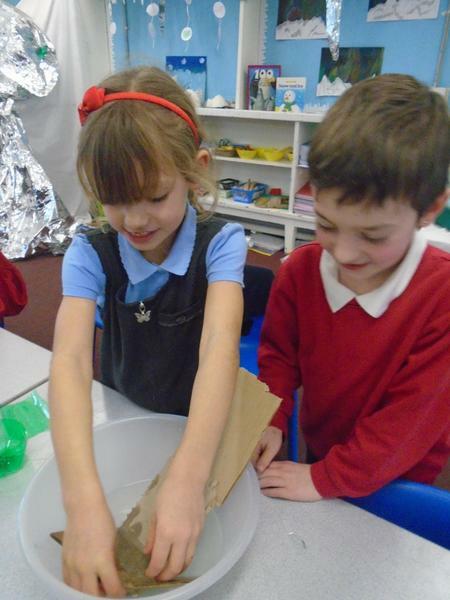 We used our prior learning to make our predictions and then started the experiment. 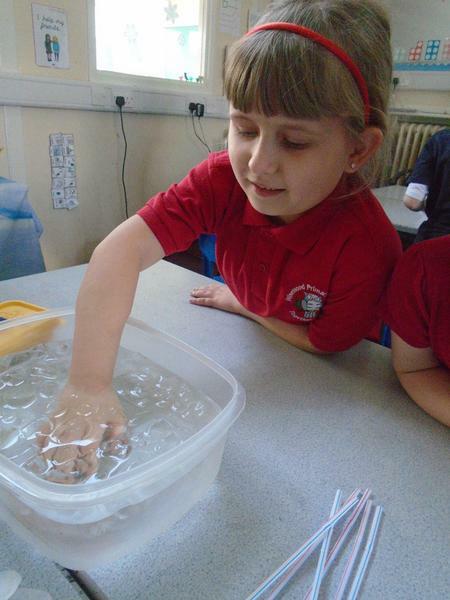 We tried to decide how fast our hand would get cold and if air or fat would make a difference. 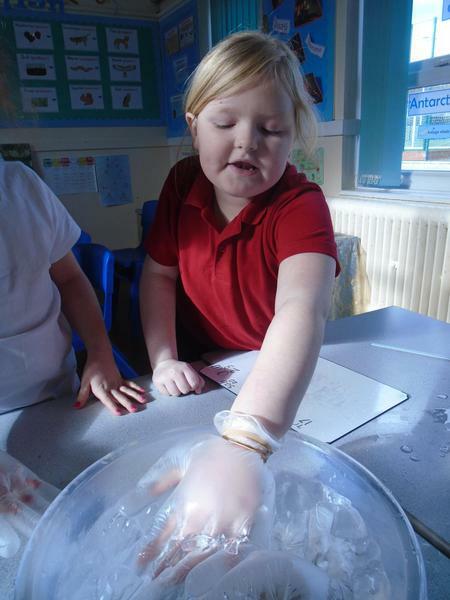 We began by timing our hand in the icy water, we didn't last very long! 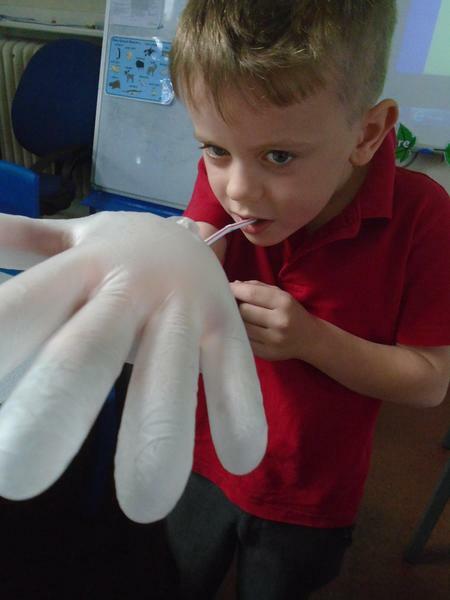 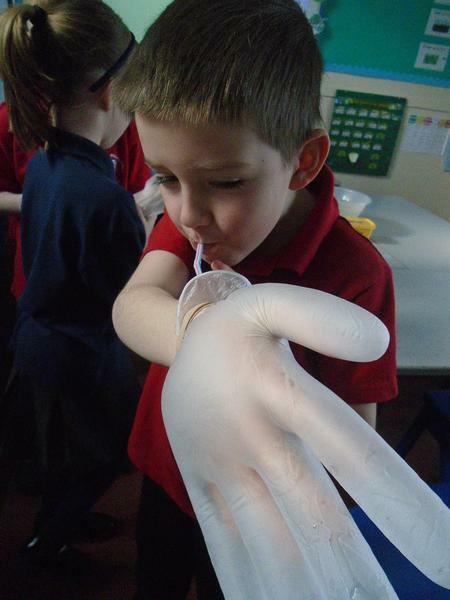 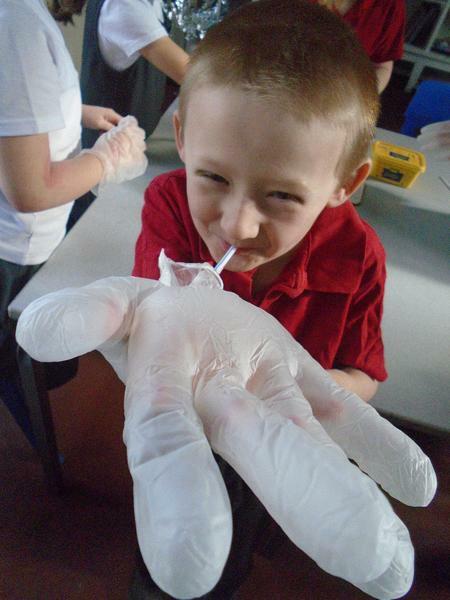 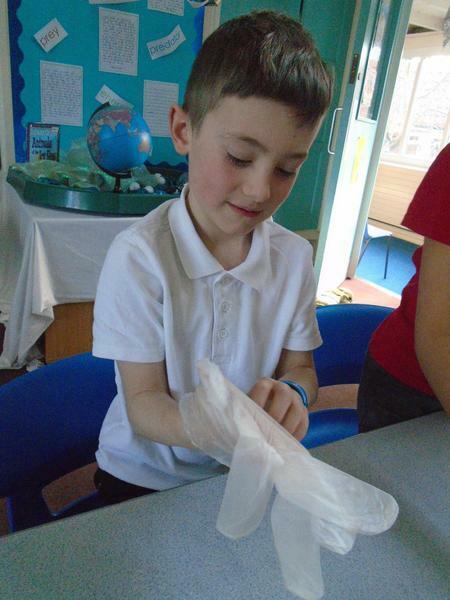 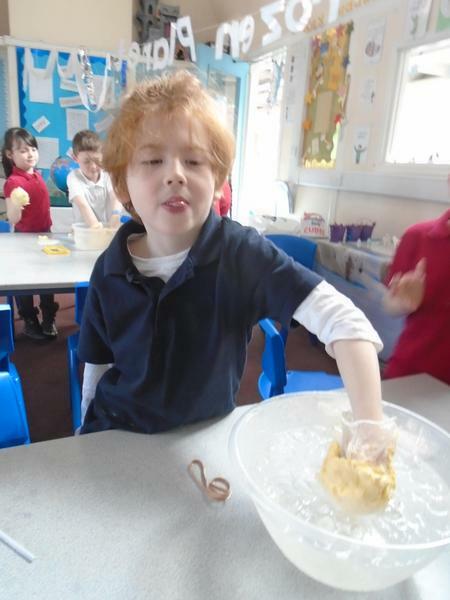 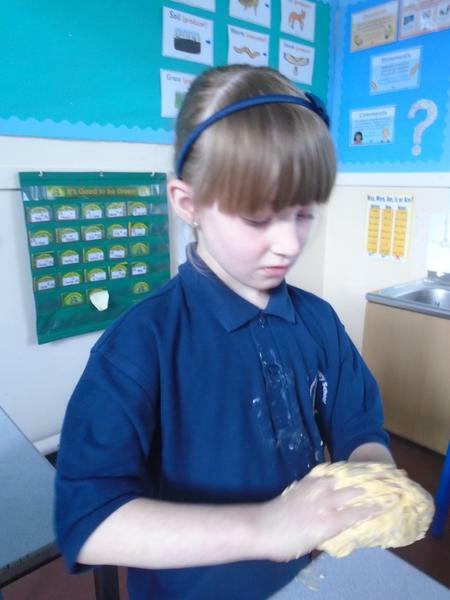 Then we used an experiment glove and sealed it at the top using an elastic band. 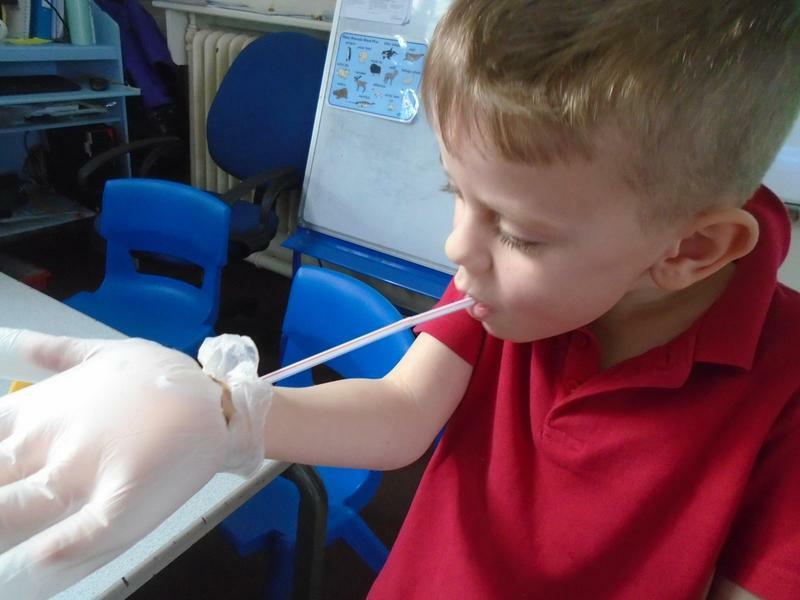 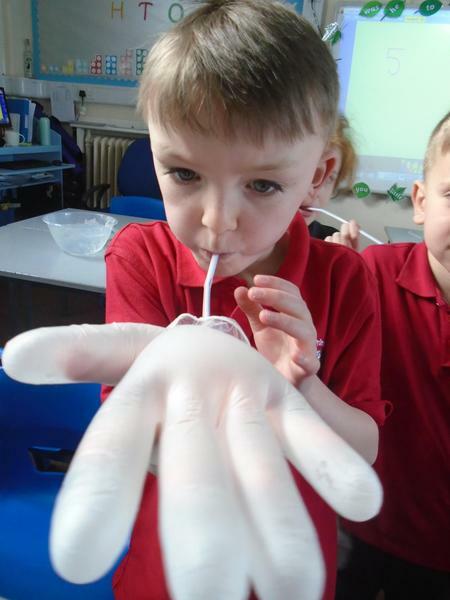 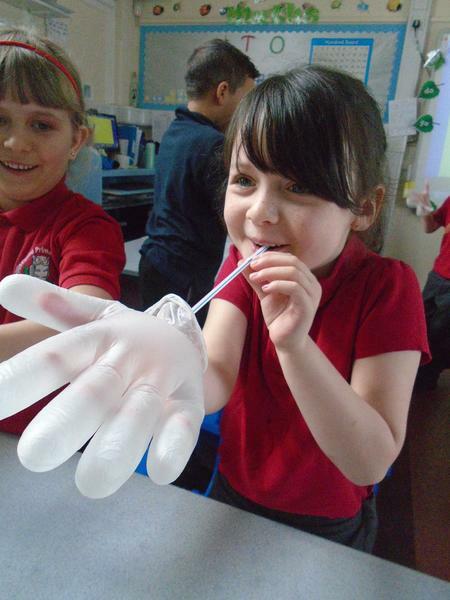 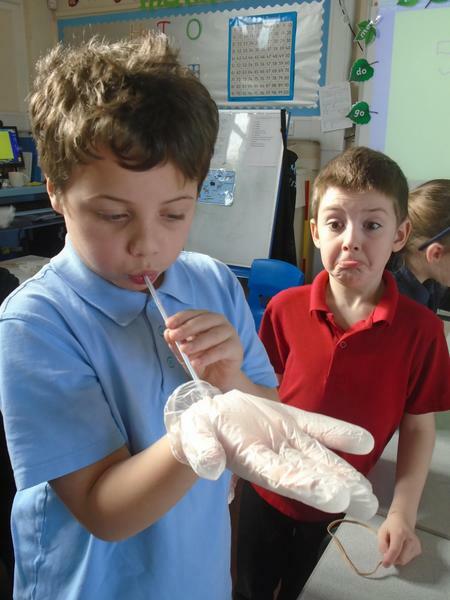 Having done that we carefully inserted a straw down the side and inflated the glove. 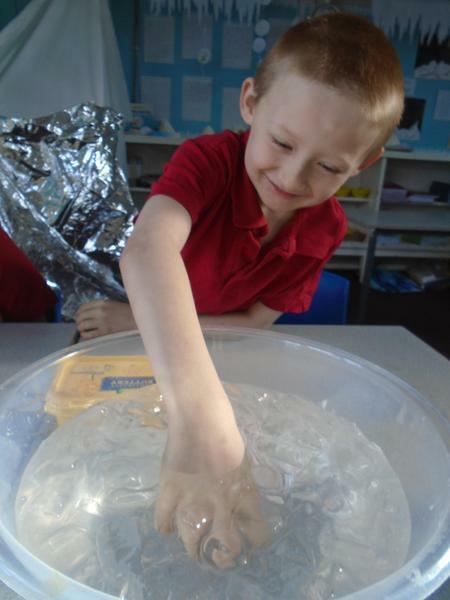 Many of us predicted that the air would help insulate our hands and allow us to keep our hands submerged for longer. 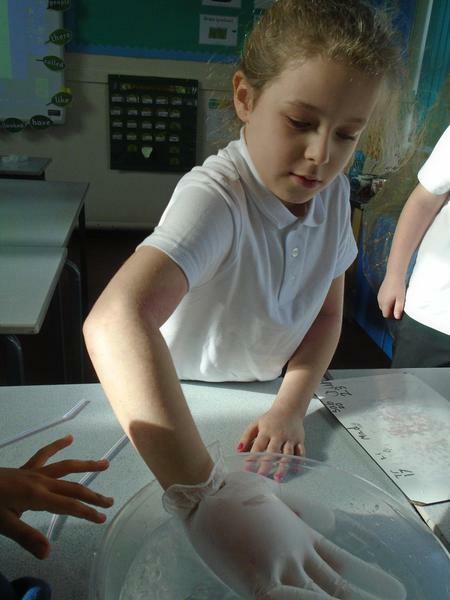 This idea came from our learning about polar a bear's fur and how the hollow tubes trap the air to keep them warm. 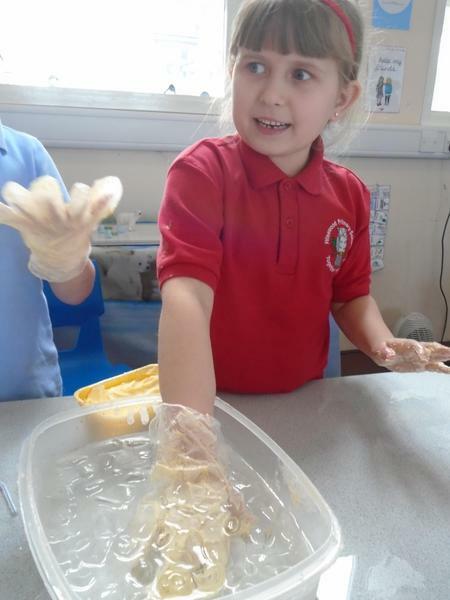 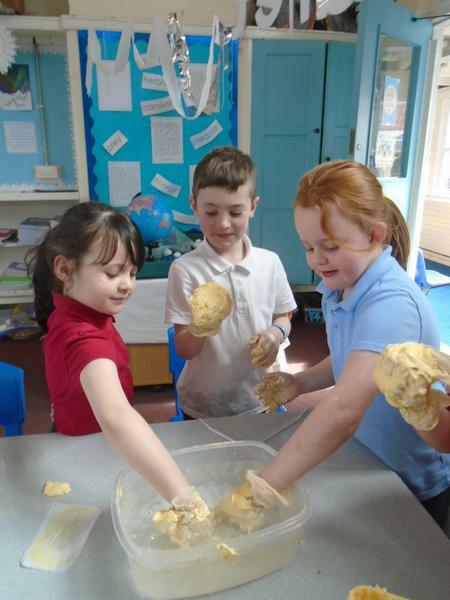 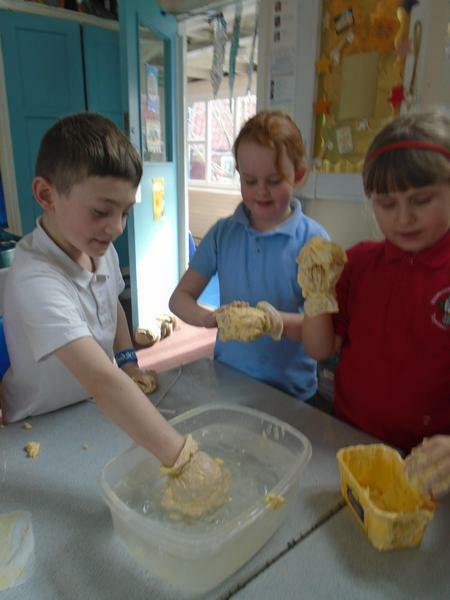 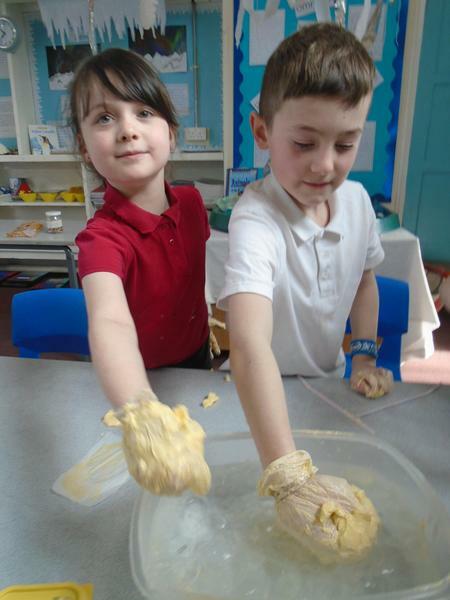 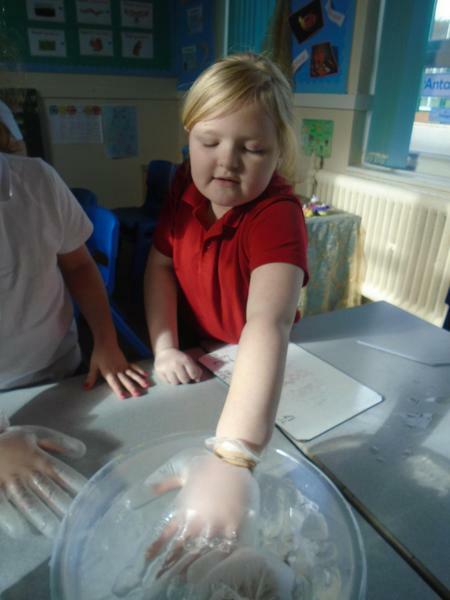 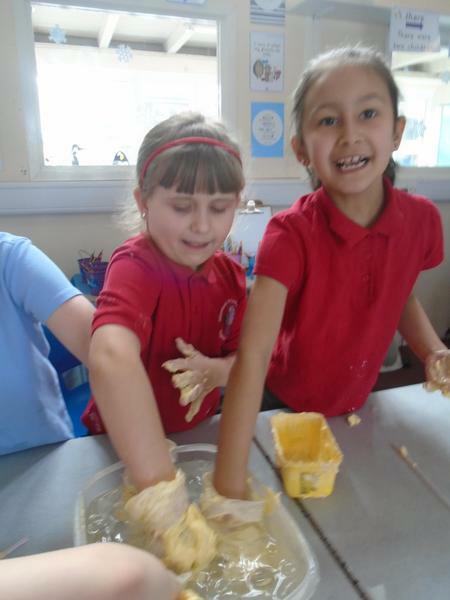 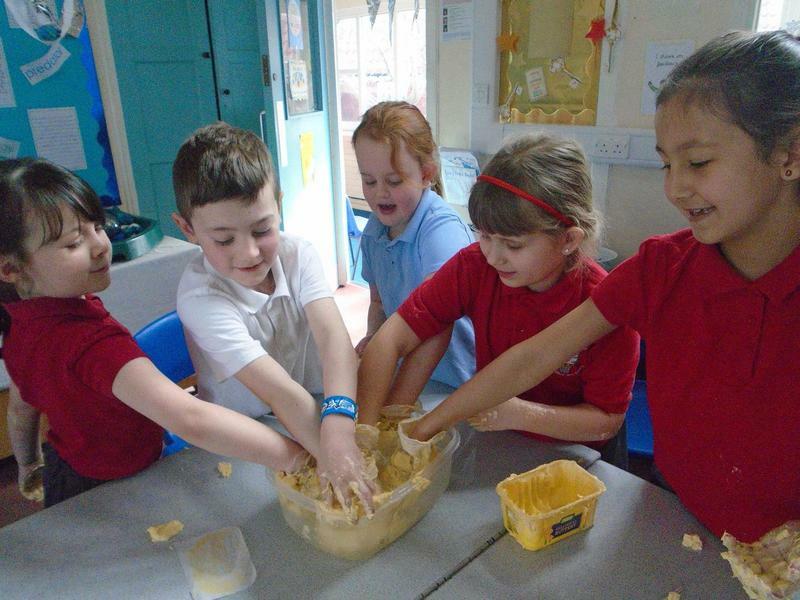 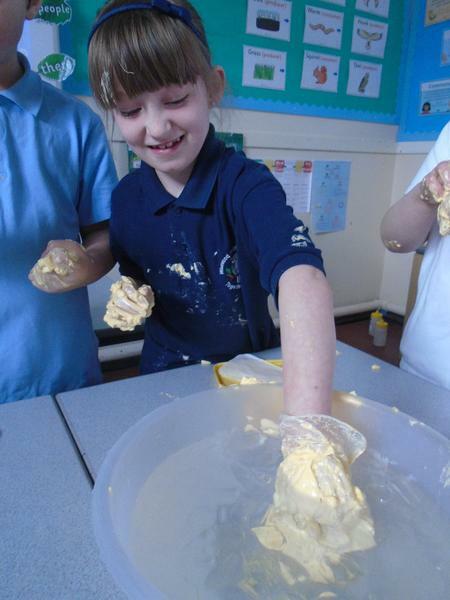 Finally we covered our gloved hands in a layer of fat to represent blubber and repeated the icy water time test- as predicted we were able to keep our hands submerged for over a minute because of the thick blubber like insulation. 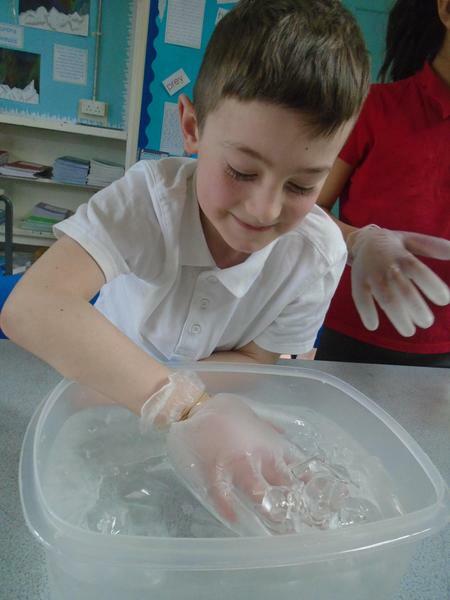 We understood why and how polar animals have become specially adapted to thrive in freezing conditions. 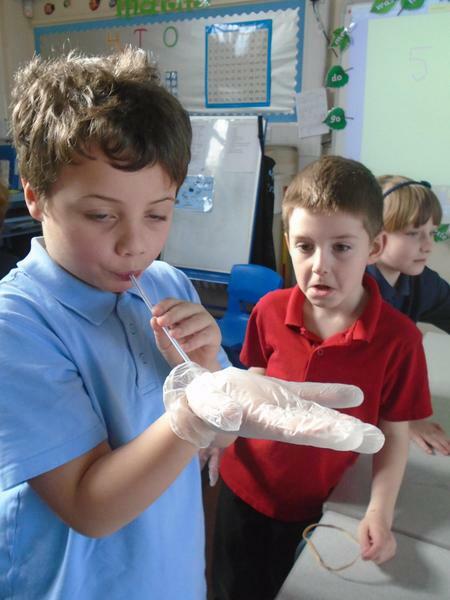 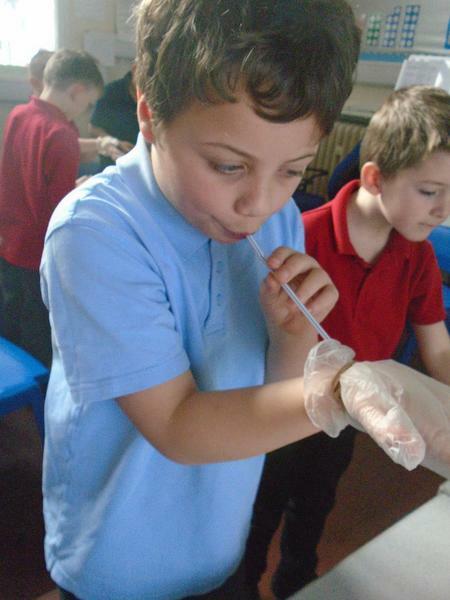 Some budding scientists in our midst! 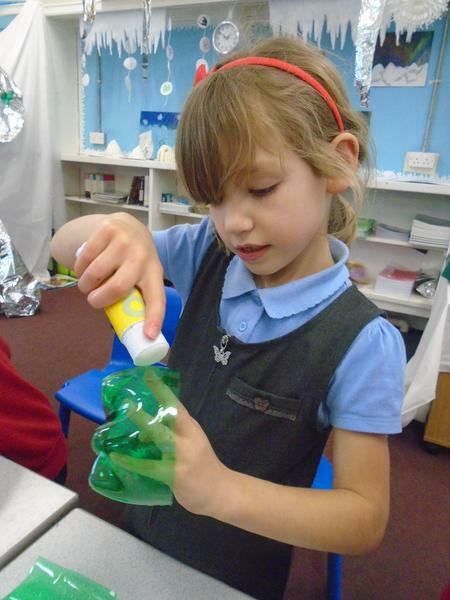 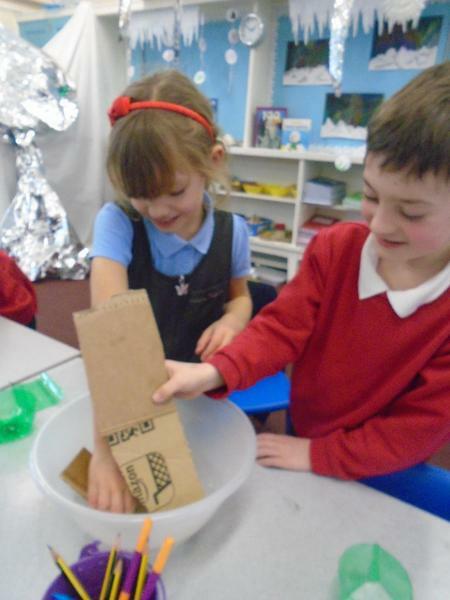 We have designed and made our own polar vehicles this week. 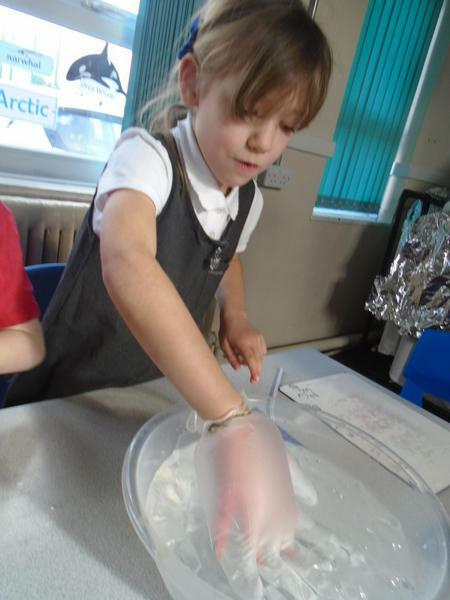 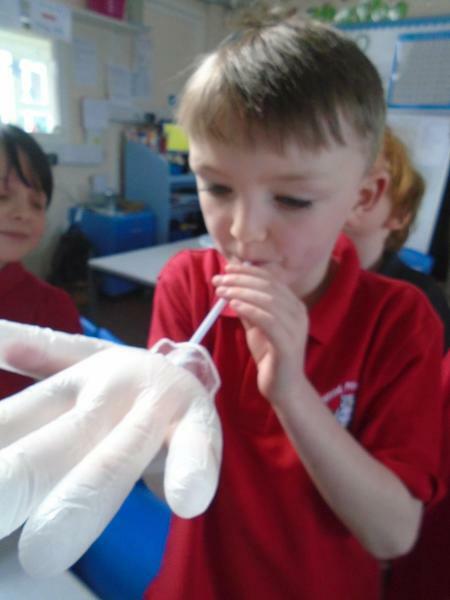 We started by testing materials that we thought we could use to see if they would be suitable for an arctic trip. 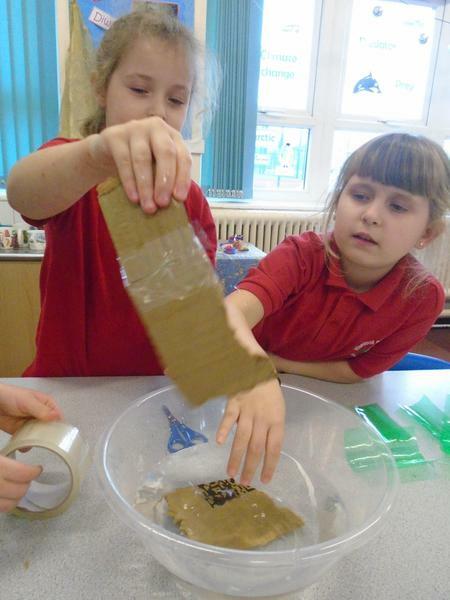 We decided that our vehicles should be waterproof and strong. 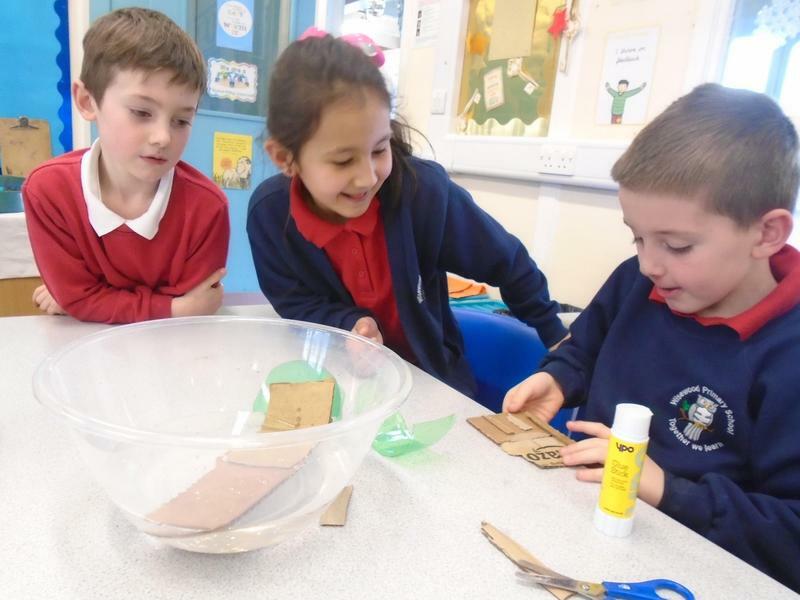 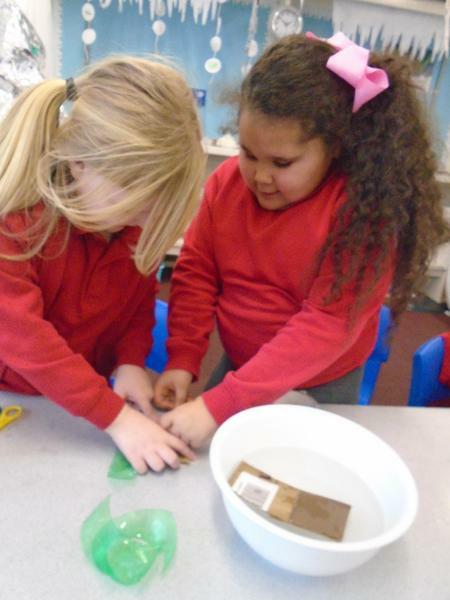 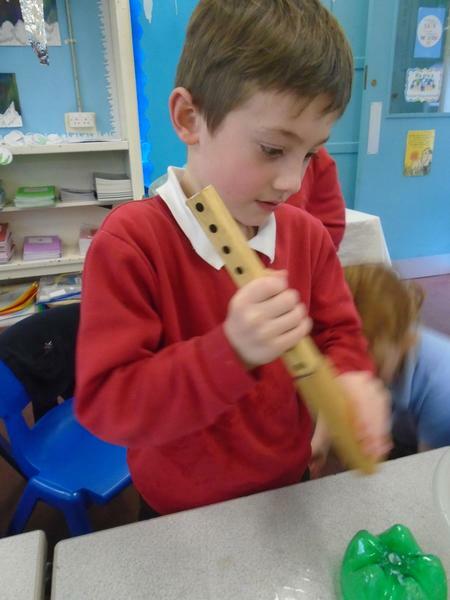 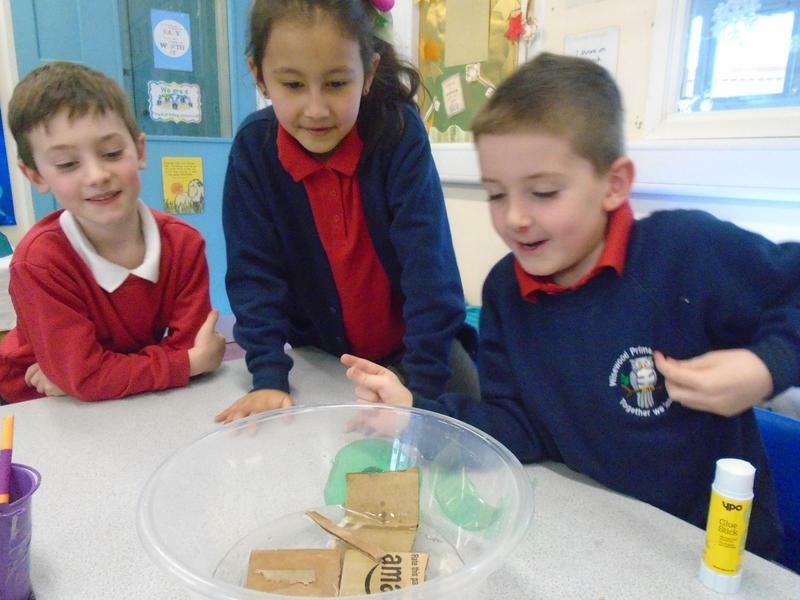 We tested several different materials as well as glue and sticky tape before finalising our designs. 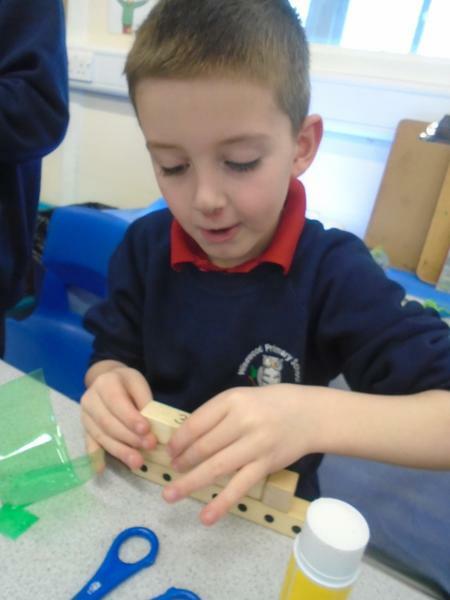 We then had a really fun afternoon of building and testing the strength of our vehicles on ice.